As I mentioned in a previous post, parameter sniffing is a good thing: it allows you to get an execution plan tailored to the current parameters of your query. Of course, sometimes it can also be a problem but there are some solutions available. Some of these solutions are covered in my posts here and here. However, Microsoft recently released a cumulative update which provides a trace flag to disable parameter sniffing at the instance level. This cumulative update is available for the latest versions of SQL Server as described on the knowledge base article 980653. Basically this trace flag, 4136, has the effect of disabling the use of histograms, a behavior similar to the use of the OPTIMIZE FOR UNKNOWN hint. There are still three cases where this trace flag has no effect, as described in the previous knowledge base article, which are on queries using the OPTIMIZE FOR or RECOMPILE query hints and on stored procedures using the WITH RECOMPILE option. In general I would not recommend using this trace flag and would ask you to try the other solutions available instead. But anyway, it is good to know that this choice exists and can be used in cases when you really need it. It should be used carefully and only when enough testing shows that in fact it improves the performance of your application. But let us test it to see how it works. 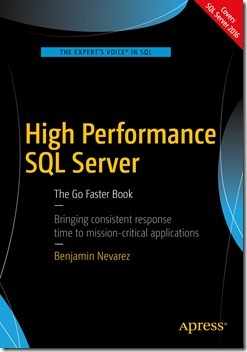 I am testing it with SQL Server 2008 R2. My original build is 10.50.1600. After the cumulative update is installed the build is 10.50.1720. Let us use the same example described on my OPTIMIZE FOR UNKNOWN post so perhaps you want to refer to it to better understand the details. Create the following stored procedure on the AdventureWorks database. In this case, since the trace flag is not yet in effect, SQL Server uses the statistics histogram to estimate the number of rows which in this case is 188. After I enable the trace flag, restart my SQL Server instance, and run the same stored procedure again I got the following plan where the estimated number of rows is now 456.079. Again, how these values were obtained was explained in my previous post. Let us try a test using the OPTIMIZE FOR query hint, which ignores the 4136 trace flag (note that it is not the same as the OPTIMIZE FOR UNKNOWN hint) by using the following code. If you try this version of the stored procedure, even with the trace flag enabled, it will use the histogram again and will create a plan using the estimated number of rows of 188. Finally, if you followed this exercise, do not forget to remove the trace flag and restart your SQL Server service. One of the questions I have been asked several times is about how OPTIMIZE FOR UNKNOWN works. 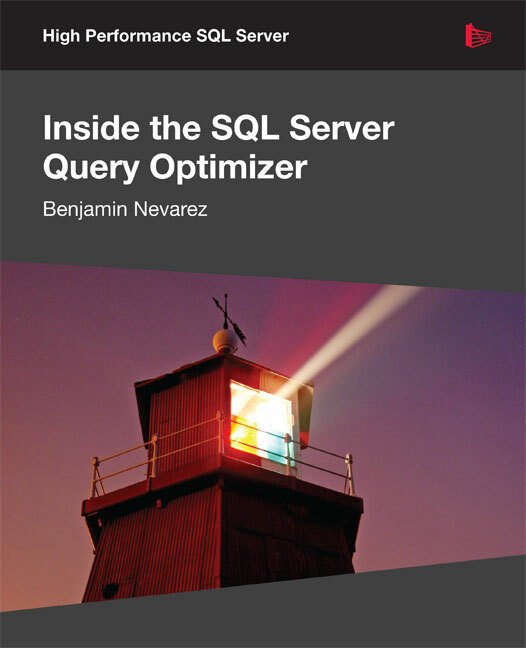 OPTIMIZE FOR is a query hint introduced with SQL Server 2005 that can help with the parameter sniffing problem and requires from you to specify a value for a parameter. For an introduction to the parameter sniffing problem you can see my previous post here. On the other hand, OPTIMIZE FOR UNKNOWN, which was introduced in SQL Server 2008, does not require from you to specify a value for a parameter. A traditional way to avoid the parameter sniffing problem, especially in previous versions of SQL Server, was by using local variables. But entirely avoiding parameter sniffing does not mean that it is always a good solution. As I mentioned in my previous article, from the point of view of query optimization, parameter sniffing is a good thing. When the Query Optimizer knows the value of a parameter it can use the statistics histogram to estimate the number of records that can be returned by a query. Using the histogram will give you the best estimate possible. But when you use local variables SQL Server is not able to use the histogram anymore. Instead it uses the information on the density vector of the statistics object. OPTIMIZE FOR UNKNOWN works pretty much in the same way. Running this stored procedure and requesting a plan shows 188 estimated records which can be seen on the following execution plan which uses both an index seek and a key lookup operators. In this case SQL Server is able to use the histogram and estimate that 188 records would be returned. The Query Optimizer uses that estimate to take a decision about the plan to generate. Use the following statement to inspect the statistics object used by this stored procedure. Running the statement shows the following information (for space limitations, only the information needed for this post is displayed, including the first line of the density vector and the first three lines of the histogram). In this case SQL Server used the histogram to find the value of ProductID 709, defined as RANGE_HI_KEY, and finds the estimated number of rows 188, defined as EQ_ROWS. Local variables are not known at optimization time so the Query Optimizer is not able to use the value 709 for the optimization, as it did before. Actually, this time it does not matter which value you use, you always will get the same estimated number of rows and the same plan. The estimated number of rows is 456.079. You will notice that it is behaving the same as with local variables, it is getting an estimated number of rows of 456.079 and getting the same plan, using a clustered index scan. But now let us see how SQL Server is obtaining the value 456.079 and what the reasoning behind this is. Density is defined as 1 / number of distinct values. The SalesOrderDetail table has 266 distinct values for ProductID, so the density is calculated as 1 / 266 or 0.003759399 as shown before on the statistics object. 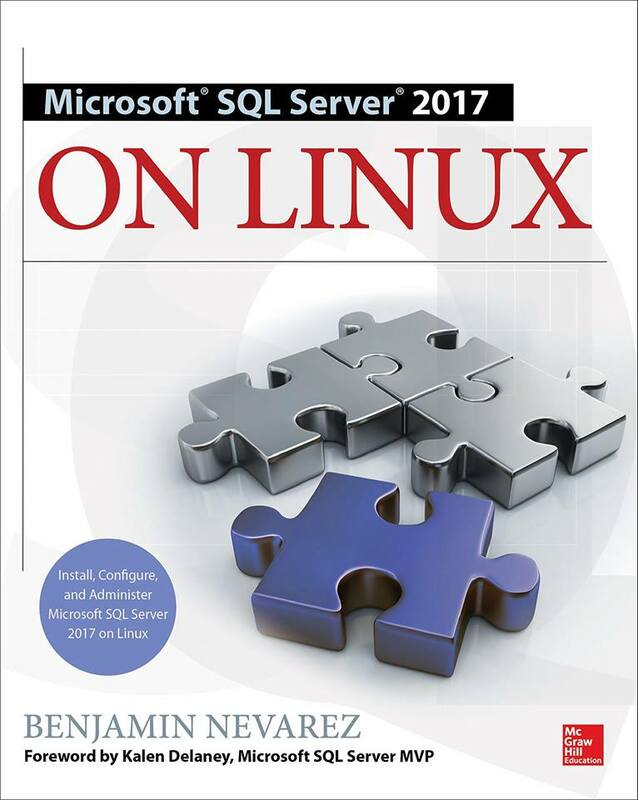 One assumption in the statistics mathematical model used by SQL Server is the uniformity assumption. Since in this case SQL Server can not use the histogram, the uniformity assumption tells that for any given value the data distribution is the same. To obtain the estimated number of records SQL Server will multiply the density by the current total number of records, 0.003759399 * 121,317 or 456.079, as shown on the plan. This is also the same as to divide the total number of records by the number of distinct values, 121,317 / 266, which also gives 456.079. Finally, I would conclude saying that the benefit of using OPTIMIZE FOR UNKNOWN is that you always get the same execution plan, just make sure that the chosen plan benefits most of the instances of your query. SQL Server can use the histogram of a statistics object to estimate the cardinality of a predicate and use this information to produce an optimal execution plan. The Query Optimizer accomplishes this by first inspecting the values of the query parameters. This behavior is called parameter sniffing and it is a good thing: getting an execution plan tailored to the current parameters of a query improves the performance of your applications. We also know that the plan cache can store these execution plans so they can be reused the next time the same query needs to be executed again. This saves optimization time and CPU resources as the query does not need to be compiled again. The Query Optimizer estimates that only a few records will be returned by this query and produces the following execution plan which uses an index seek operator, to quickly find the records using an existing nonclustered index; and a key lookup operator, to search on the base table for the remaining columns requested on the query. On this second execution SQL Server is performing more than 14,000 reads when the SalesOrderDetail table has only around 1,240 pages. It is using more than 10 times more I/Os than simply scanning the entire table. So why is the second execution performing poorly? When SQL Server was executed the second time, it was using the same execution plan that was generated for the first execution. And for this particular case, the plan generated was optimal for the parameter used in the first query but not for the one on the second query. Performing both an index seek and a key lookup, which are together called a bookmark lookup, is an expensive operation which can have performance benefits but only for a limited number of records. Now clear the plan cache to remove the current execution plan from memory and run the stored procedure again using the same previous parameter (note that there are better ways to remove a plan from the plan cache so use this statement only on a test environment). Since this time there was no available plan for this stored procedure on the plan cache, SQL Server optimized it using the ProductID 870 and created a new optimal execution plan for this value. The new plan will use a clustered index scan as shown next. If you look at the I/O information you will notice that this time it is using only around 1,240 pages, which is the total number of pages on the table. This is a lot smaller compared with the more than 14,000 pages used in the previous execution with the same parameter. Of course this does not mean that it is something wrong with using stored procedures. This is a problem that you need to be aware of and research especially if you have queries where performance changes dramatically when different parameters are introduced. If you happen to have this problem there are a few choices available. There might be cases when most of the executions of a query can benefit of the same execution plan and you want to minimize the cost of optimizations. 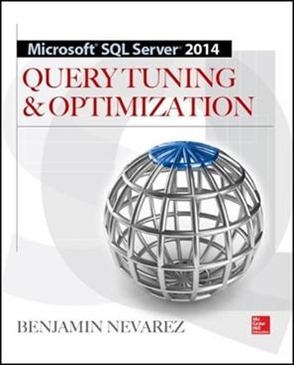 For these cases you can use the OPTIMIZE FOR hint, which was introduced with SQL Server 2005. Use this hint when an optimal plan can be generated for the majority of the possible values. Only the few executions using an atypical parameter will not have an optimal plan. The benefit of using this hint is that you have total control on which plan is stored on the plan cache and reused later. On the original problem you did not have control of which of the two execution plans would be stored on the plan cache. 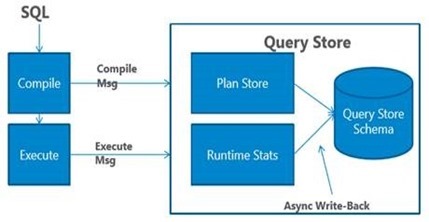 If you can not find a typical parameter o plan for your queries you can optimize for every execution. You will get an optimal plan on every execution but will pay for the optimization cost. To do this use the RECOMPILE hint as shown here. This time the query will be optimized on each execution and will get an optimal plan depending on current value of its parameters. Some other solution that has been traditionally implemented, especially in older versions of SQL Server, is to simply avoid the parameter sniffing behavior by the use of local variables. Next, I will explain the pros and cons of using local variables along with the OPTIMIZE FOR UNKNOWN hint, which is new in SQL Server 2008. But since I need to go to bed now so I can wake up very early in the morning to see the first game of the 2010 World Cup, I will leave these topics for my next post. By the way, who is your favorite team?